Conspicuity tape provides superior reflectivity, increasing the visibility of trucks and trailers during nighttime driving. As a result, it may help to reduce accidents and prevent injuries. Conspicuity tape available with laser etched logo (shown below with minimum of 4 rolls ordered). Contact for more information. 2" x 50 yd per roll. 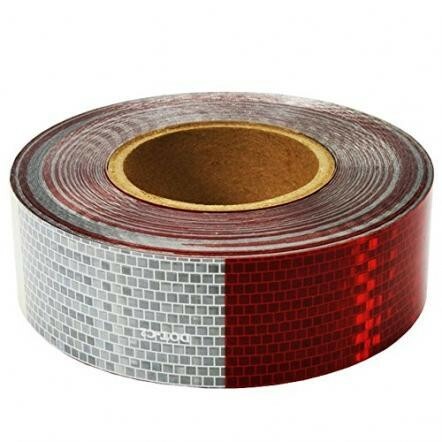 Find more information about conspicuity tape here.